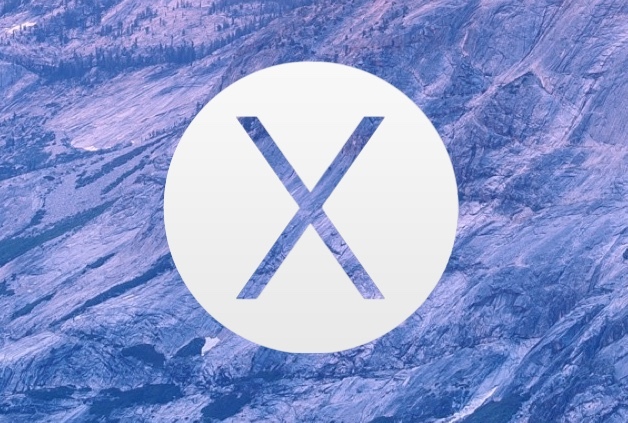 Each release of MacOS or Mac OS X has a unique build number assigned to it to represent the changes found in that version of system software, often these changes are minor and incremental, but with major Mac OS X releases the build numbers can change significantly. Though average Mac users won’t need to know the build number of their system software, those running developer builds and beta releases often pay attention to these software versioning alphanumeric strings. With that in mind, we’ll show you a few ways to quickly find the build number of Mac OS X system software installed on any Mac. Yes, you have to click on the Version number to reveal the build number. The About This Mac panel also offers a quick look at the model year of a specific Mac, a storage overview, the amount of RAM a Mac supports, and digging deeper, even things like the model identifier number or extensively detailed hardware information. We’re looking for the alphanumeric sequence alongside “BuildVersion”. $ system_profiler |grep "System Version"
It doesn’t matter which approach you take, you’ll find that the build number will be the same on the same Mac, so just use which method is right for you, be it from the command line, which is helpful from ssh and remote management situations, or from the About This Mac window, which is the quickest for most Mac users. Why is my build “10.10.2 (14C1514)”? 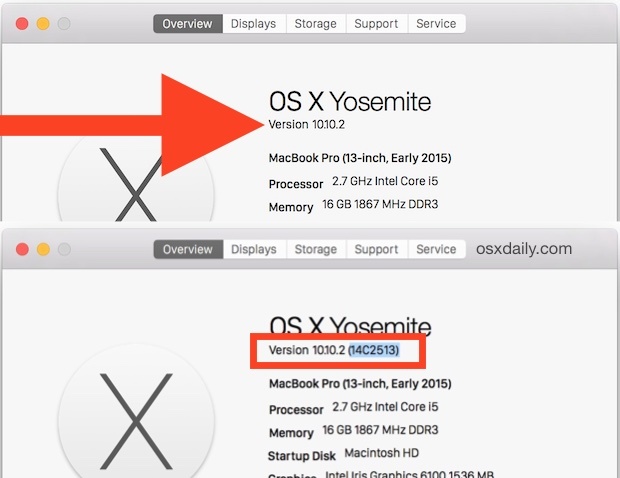 Build numbers don’t necessarily match version numbers, for example, OS X 10.10.2 has multiple build numbers depending on the Mac installed on and the hardware it supports. This 2015 MacBook Pro has a different build to support Force Touch haptic feedback, other builds of 10.10.2 would not include that, that discrepancy is fairly common when hardware is revised before a new version of OS X is ready (like 10.10.3 final, 10.10.4, etc).